Heat a large skillet over medium heat and add 2 tablespoons canola oil. Add chopped onions and halved garlic cloves. Cook until onions brown and become semi-translucent, about 7 to 8 minutes. Stir in the whole green chiles and continue to cook for 5 minutes. Remove the onions and chiles and pour into a slow cooker. Continue to heat skillet over medium heat and add remaining oil. 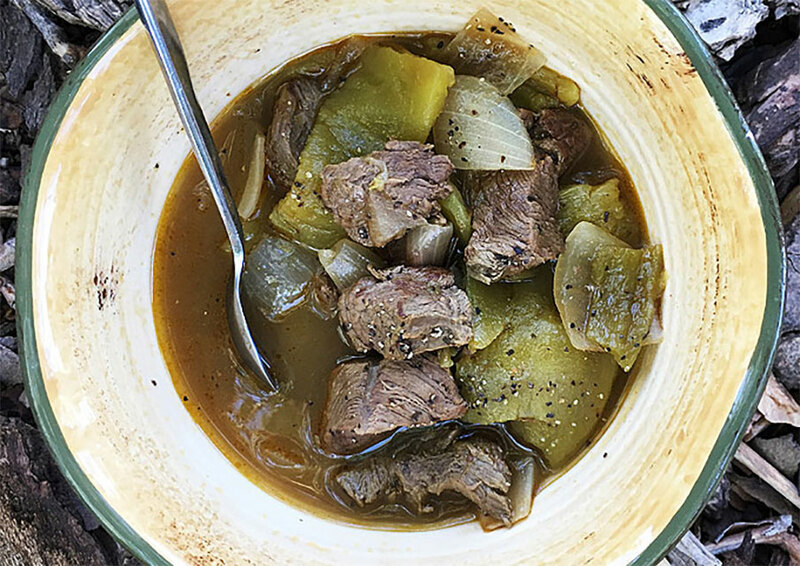 When the oil is warmed, carefully add your venison stew meat to the skillet along with all of your seasonings. Brown meat on all sides and remove when done. 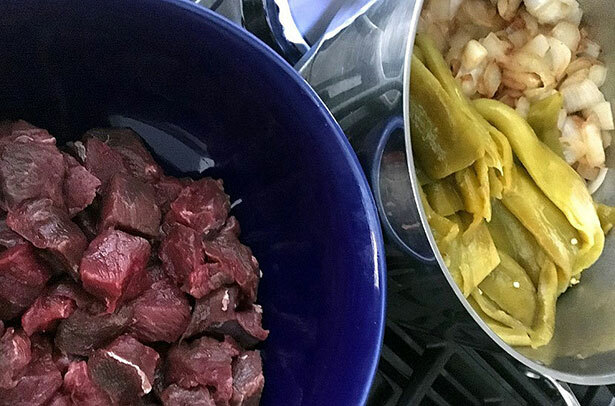 Add meat to the slow cooker along with the onions and chiles. Pour 4 cups of water over the top and cover with a lid. Cook on low for 5 to 6 hours. Season with salt and pepper to taste. Serve with grated cheese, a dollop of sour cream and warmed flour tortillas.